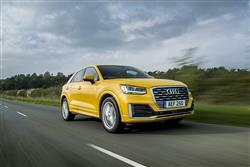 The Q2 shows that Audi has a youthful side. Jonathan Crouch and the Car & Driving team check out this appealing little small Crossover. 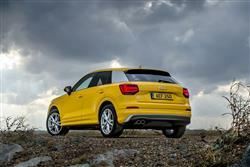 Audi aims to inject a little more fun into its SUV line-up with this more compact and affordable Q2 model. It's aimed at customers wanting a Nissan Juke-style small Crossover but requiring a little more class and quality. In short, this is a new direction for the Ingolstadt brand. 'Fun' isn't a word you necessarily associate with Audi. 'Cool' perhaps. 'Classy' possibly. 'Mature' definitely. Well forget that third adjective when it comes to discussion of this car, the Audi Q2. It's the kind of product that the German brand hopes will lower its target age demographic, at the same time giving buyers of small Crossovers like Nissan's Juke and Renault's Captur a more appealing option to aspire towards. In truth, it's likely that the Q2 will prove to be a little too pricey for customers of those cars but premium models in this segment - contenders like Honda's HR-V and Jeep's Renegade - should certainly feel the heat from this Q2. The Q2 is available with a selection of five different engines. Along with a 116PS 1.0-litre three-cylinder TFSI, a four-cylinder 150PS 1.4-litre TSI petrol unit is being offered with the brand's clever 'Cylinder on Demand' system. In addition, there's a 190PS 2.0 TSI powerplant. Two four-cylinder diesel engines are available with 1.6 and 2.0 litres of displacement and outputs of 116PS and 150PS. 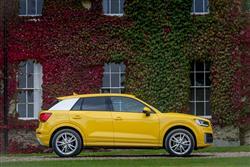 You have to get one of the 2.0-litre units to get the option of quattro 4WD. 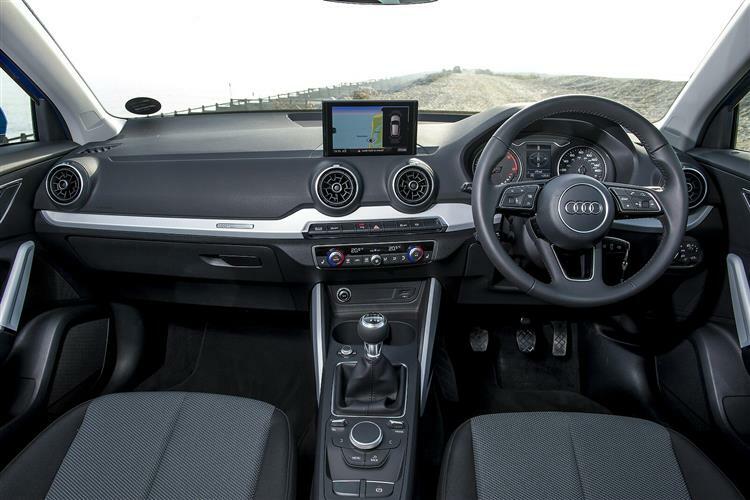 As an alternative to the six-speed manual transmission, Audi also offers the S tronic dual clutch transmission with seven speeds for all engines bar the entry-level 1.0-litre unit and you have to have it with the top 2.0-litre petrol model. Installed at the rear on the front-wheel drive versions is a semi-independent suspension, while the quattro models have a four-link suspension. Progressive steering is standard in all variants. It varies the steering gear ratio as a function of the steering input; the ratio is made more direct with large steering movements. 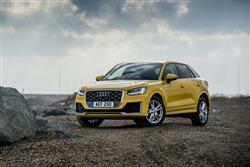 Adaptive dampers are available as an option, as is the Audi drive select system with which drivers can set an individual characteristic for their Q2. The Q2 certainly looks distinctive with its 'floating blade' C-pillar and colourful trimming. It's slightly shorter and narrower than an A3 hatch and boasts a complex shape that shows a lot of vertices and edges. At the front, a strong image is created by the high-mounted Singleframe grille and the large air inlets. In profile, the high shoulder line is especially eye-catching as are the concave flanks in the door area. Practically, the Q2 fulfils the fundamental expectations of an SUV with a high entry, good visibility and a large luggage compartment (405 to 1,050-litres of capacity), yet the driver's seat position is low in relation to the steering wheel as in an Audi saloon. Optional practical solutions are available such as a power tailgate and a three-way split rear bench backrest with cargo through-loading. Inside, the standard MMI infotainment screen is positioned high on the instrument panel. The system can be operated by a rotary/push-button control and two buttons on the centre tunnel. When MMI navigation plus with MMI touch is ordered, the user also gets a touchpad on the central control element. In addition, the system can be controlled by natural language operation and the integrated MMI search set-up. Prices see this car pitched just above the brand's A1 supermini, which means that Q2 buyers will be paying somewhere in the £20,000 to £30,000 bracket. There's a choice of either 'SE' or 'Sport' trim levels on mainstream models, with a more dynamic 'S line' spec available further up the range. The S tronic auto transmission is just over £1,500 more. Individuality will be key in this Q2's likely market - inside and out. A range of equipment packages, exterior colours and expressive colours for interior trim and seat upholstery should allow plenty of creative space for personal configuration. One option is the LED lighting package, in which the interior is staged in a particularly attractive way with illuminated trim elements. Newly designed 17-inch alloy wheels are fitted as standard, and can be optionally increased to 19 inches upon request. The free Audi MMI connect app enables online media streaming and transfer of a calendar from a smartphone to the MMI infotainment system. The app for iOS operating systems also has a 'myAudi' destinations function. It makes it possible to send the data of a desired navigation destination from any app to the MMI navigation plus system. The system then uses it for navigation. 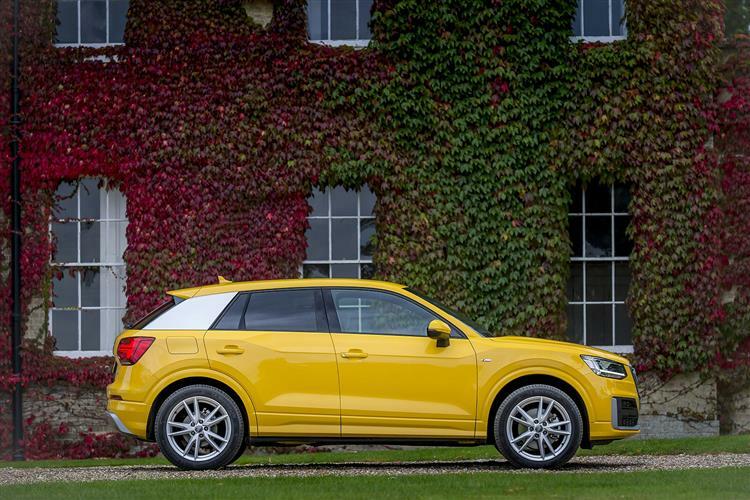 The Q2 looks set to be a frugal choice if you're looking for a car of this kind. The 1.0-litre TFSI petrol version's likely to be a popular choice, capable of around 65mpg on the combined cycle and a CO2 return around the 100g/km mark. The 1.6-litre diesel of course does even better, with combined cycle fuel consumption of over 70mpg possible. Depreciation figures should be as strong as they usually are on Audi models. It's a little disappointing though, that the brand sticks to its usual 60,000 mile limit on the three year warranty. Optional extra-cost packages can extend the cover to either four or five years. Pre-paid servicing packages are also available. In some ways, you wonder why it took Audi so long to enter the small Crossover market. Yes, it's had its Q3 model in campaigning here, but that car has proved to be a little too pricey to interest the Juke and Captur crowd. This car will still require such people to take a long hard look at their bank balances but it'll certainly be more accessible. Potential buyers will like the styling, the technology and possibilities for personalisation. The result is a car that will usefully widen Audi's market reach.